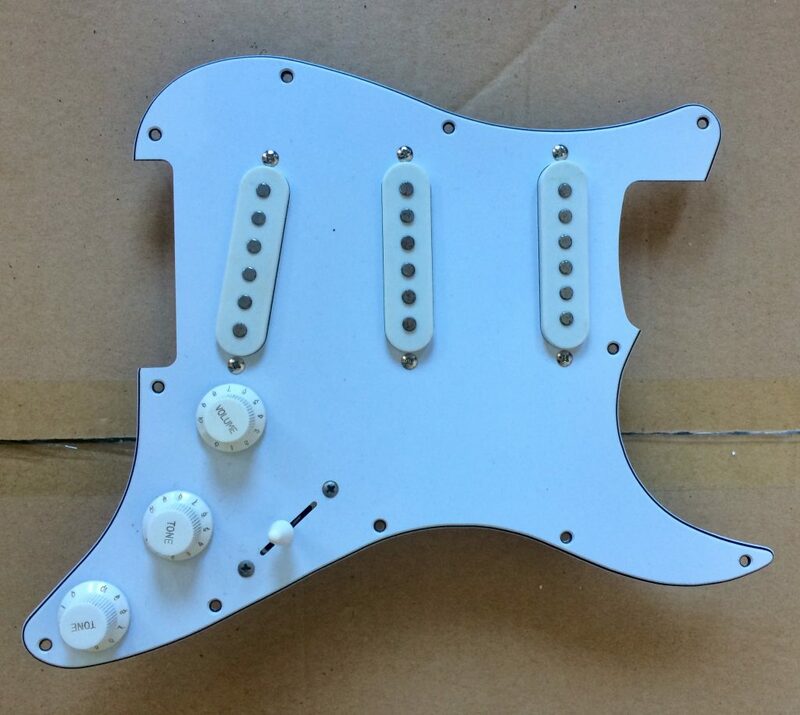 Stratocaster type scratchplate, knobs, switch tip and pickup covers are from the original (Wilkinson) Vintage Guitar. 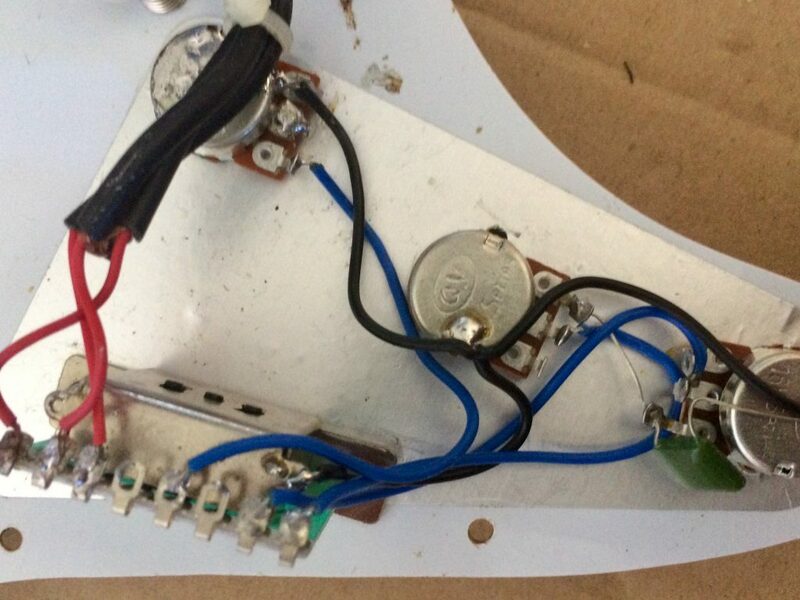 These pickups and wiring loom were taken from an early unloved JHS ‘Vintage’ Guitar, which was sadly very beaten up. The matched set of pickups sound similar to Wilkinson WVS 60’s replicas, very slightly hotter output than standard pickups, yet they still give a vintage ‘ST’ tone. 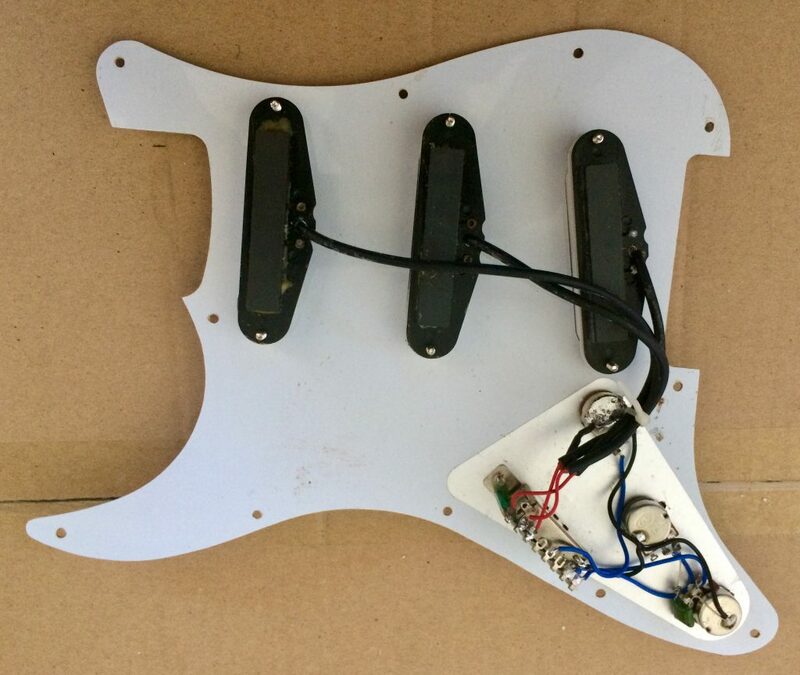 The scratchplate is a Stratocaster type,the knobs, switch tip and pickup covers are from the original (Wilkinson) Vintage Guitar and show natural signs of aging.